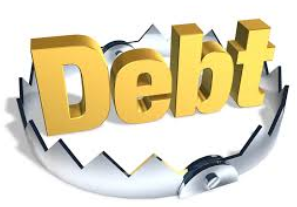 What are some of the biggest debt traps? The word debt is about as cringe worthy as it gets. I am certainly caught in some of these debt traps. This post is inspired by this 2 Cents Lifehacker article.I hope many of you are in the process of getting out any of these 11 debt traps. Student loans (government/federal loans or private loans) – I know all too well about the student loan problem. 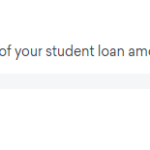 Ever since defaulting on my loans in my early 20s, I have been paying off $80K+ in student loan debt which is now down to $34K. When I was choosing which university to attend, I did not get the memo to never fund your entire 4 year education with student loans. Due to the self imposed financial mistakes, my total student loan principle increase by 50%+. Please be aware of why you need student loans, how you intend to pay back your student loans, and how you intend to save before, during, and after college. Be mindful of average starting salaries so you can budget properly and set realistic expectations on paying back your student loans. Black Friday sales or any kind of sales/savings offers – it sounds nice when the online ad or circular says you “save” $500 on that nice big screen TV or “save” $200 on that high end designer fashion wear for a limited time. 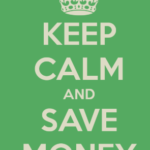 In reality you are not saving, you are spending money. When you get warped into this whole “save, save, save” marketing tactic used by retailers, you begin to think that you are actually saving. You then start to spend your money on things that you really do not need. Credit cards and not paying off the balance in full every statement – I know all too well about the credit card debt trap. One of my top 9 money rules is to get a credit card, but pay off the balance every statement. I worked in the financial services industry so I know all too well how banks make money. High interest rates…check. Late fees…check. Carrying a balance every month…check. Credit card rewards programs– I have heard and read many times that people with bad credit card spending habits should rip up their credit cards and pay with cash. The psychological impact this could have on a person is that handing over cash makes it much more difficult to needlessly buy crap than simply swiping a credit card. That said, I am all about free money and credit card rewards are just that. You will have every day purchases to pay with your credit card with the exception of your mortgage or rent. Why not use a credit card that gives 1.5-2% cash back? The debt trap here is that it is very easy to overspend on a credit card because of the rewards. Budgeting is highly recommended. Buying more house than you can afford – I am thankful to the real estate podcasts I have listened to that have warned me of this debt trap. I am in the process of buying my first real estate investment property and I was prequalified for a lot more house than I would be comfortable paying. A housing expense rule of thumb I have heard is that no more than 30% of your income should be on housing. I am not sure how this was calculated, but I have come to follow this 30% housing rule for a long time. When you find a mortgage payment calculator, there are many misleading calculators out there. Make sure you find a mortgage payment calculator that factors any required home insurance, annual property tax, and closing costs. When I was playing around with calculators, I have found that in one example, my initial mortgage payment would be around $1,000, but factoring in all the other required housing expenses, my mortgage payment would actually end up being $1,800+. Payday loans – these are just so wrong. The absolute worst kind of debt trap. A quick example of a payday loan scenario. Let’s say you need $100 today. The payday loan center requires you to write a check for $120, but you must repay within 2 weeks (usually by your next paycheck). The payday loan lender will not cash until you pay back the original $100 they lent you. If you do not pay it back, then the lender will deposit the $120 check you gave them. If you end up doing this let’s say, 3 times, you have now paid $20*3=$60 on a $100 loan. That is equivalent to a 521% interest rate. The fees these payday loan centers charge might seem low at first, but actually calculating the interest rate results in astronomical interest rates very quickly. I would much rather default on my loans than have to take out a payday loan. Home equity loans – I personally do not own a home, but this type of loan was part of the issue that resulted in the 2008-2009 recession. You would be taking out a loan using your home as collateral in case you end up having difficulties paying back the home equity loan. The loan amount is dependent on the value of your home. If you end up missing payments and ultimately defaulting, you will lose your home. Keeping up with the Joneses (being overly materialistic) – this is all about looking good. There are arguments to be had with buying a higher quality item hoping for that higher price item to last much longer. I am guilty of this. That said, this is a very easy debt trap because you can start to lose track of your budget and spending habits. This also goes hand in hand with the credit card rewards trap. 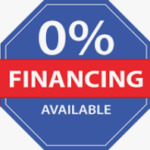 New car loans especially leases – one of the best money saving rules I hope many of you follow is to never buy a new car or better yet do not lease. You are temporarily taking ownership of a new car that will depreciate by half as soon as you drive off the lot. Buying a used car that is at least two years old will mean you are buying when the car has depreciated the most thus the value you pay is going to be much lower. I currently lease. I have been leasing for 10+ years. I recently realized as a self professed money moron that I should never lease or buy a new car again. Co-signing a loan – this is tricky and really a judgement call. I personally would never co-sign a loan for a friend or a distant relative. However, I have and currently co-sign a loan for direct family. I have complete trust in my family. Just know that co-signing means you are in a legally binding contract and you will be responsible for payments should your partner miss payments. Car title loan – similar concept to a home equity loan. You are taking out a loan based on the value of your car and if you miss payments, the lender will take possession of your car. Similar to payday loans, you will pay outrageous triple digit interest rates.